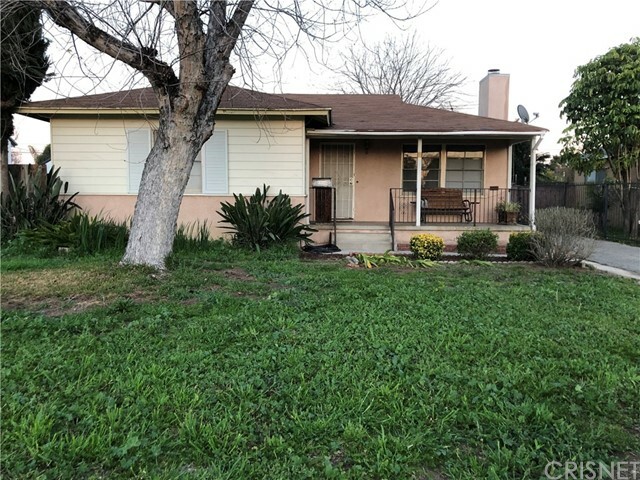 All Lake Balboa homes currently listed for sale in Lake Balboa as of 04/21/2019 are shown below. You can change the search criteria at any time by pressing the 'Change Search' button below. 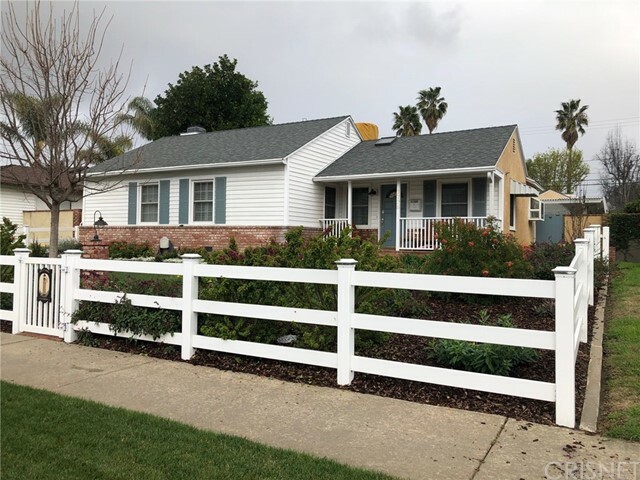 If you have any questions or you would like more information about any Lake Balboa homes for sale or other Lake Balboa real estate, please contact us and one of our knowledgeable Lake Balboa REALTORS® would be pleased to assist you. "Great opportunity to own this newly constructed, high ceiling turnkey 2,156 Sq.ft. 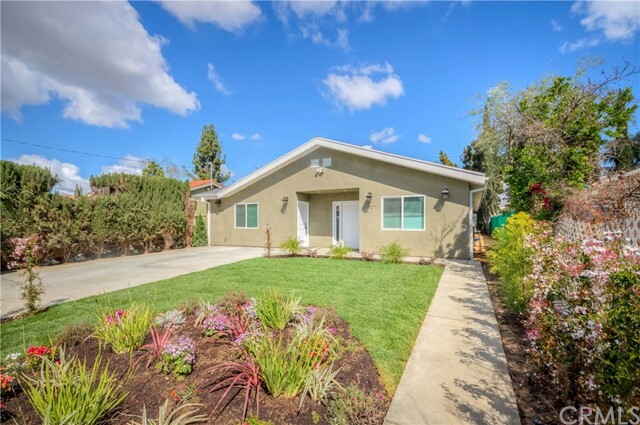 modern home located at the sought out neighborhood of Lake Balboa. 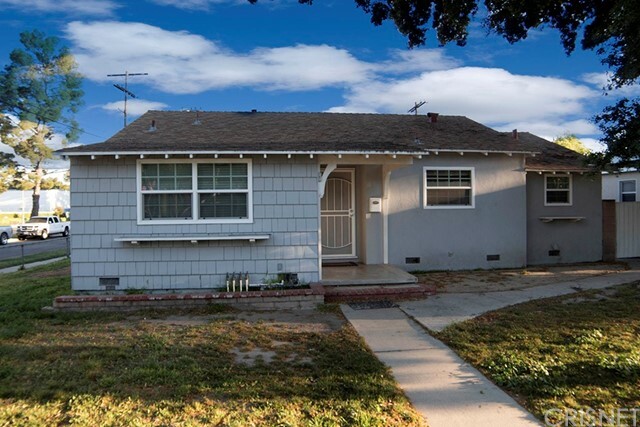 and Van Nuys area With (4) bedrooms and (3) bathrooms this home has a spacious open concept. Additionally, it also has a permitted additional dwelling unit with (1) bedroom and (1) bathroom and its own kitchen with separate utility meters that can be used for monthly rental unit , Airbnb , or simply for guests or in-laws that needs their own space." 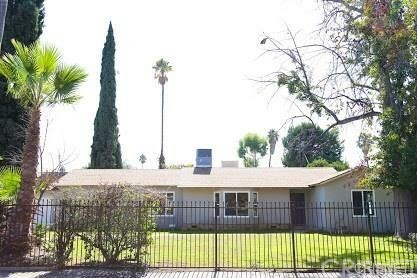 "Incredible and rare Lake Balboa property with exceptional investment & cash flow potential! 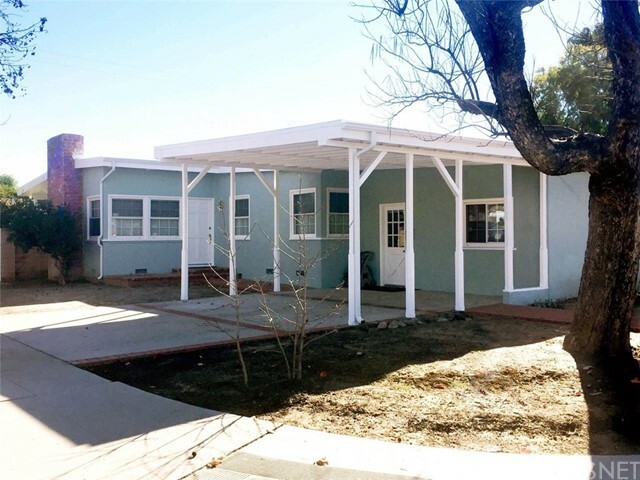 Two beautiful homes on one lot, each with individual addresses (7313 Rubio Ave & 7315 Rubio Ave). The front house is a clean, 1242 sq ft charmer with 3 bedrooms and 2 bath. 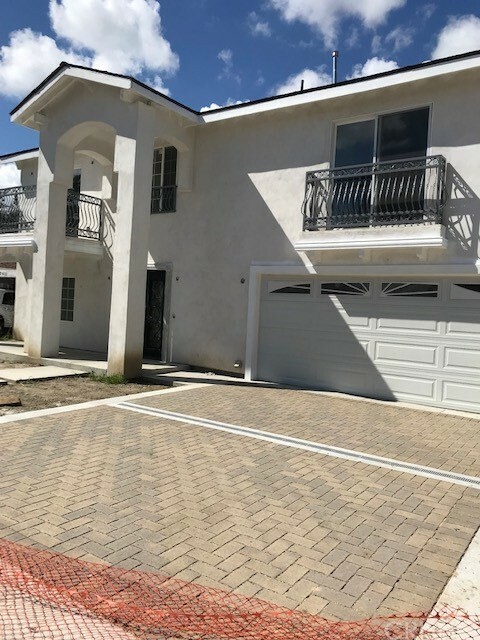 The back house is a 683 sq ft never lived in before BRAND NEW CONSTRUCTION, permitted, 2 bedrooms and 2 bath ADU with separate electrical panel. Both properties have laundry hook ups. Central heat/AC in the front house & 3 split units "
"Beautifully redone Contemporary Ranch style home, on oversize lot, gated and totally private. This complete remodel in 2018 comes with NEW Plumbing, NEW Electrical, NEW Heating & Cooling, NEW Stainless Steel Appliances, NEW Flooring, New Roof & Much Much More. The in ground pool has been completely resurfaced and tiled, as well as new plumbing for the pool. This beautiful home sits back off of street behind a custom made wrought iron gate and feels like a private compound. As you enter through t"
"Stunning single level pool home in Lake Balboa! The front porch greets you as you step inside to find custom hardwood floors w/ intricate inlays, & wood beam ceilings. Functional floor plan offers formal dining & living rooms, updated kitchen w/ white cabinetry & beveled edge granite counter tops. En- Suite Master. Possible 4th bedroom with it's own attached full bathroom now used as an office with built-in shelving & storage. Kitchen & office open to a large family room w/ soaring ceilings, rec"
"Built in 2016, this pristine property is located on a front corner lot - one of the larger lots - in the community. Once inside the home, you begin to appreciate the openness promoted by being on the corner in addition to the additional light afforded. The open floor plan on the main level encompasses a great room that overlooks the manicured yard that is surrounded by a variety of greenery. The kitchen is outlined with granite countertops that are sure to accommodates anybody who likes to cook "
"First time on the market in well over 50 years! 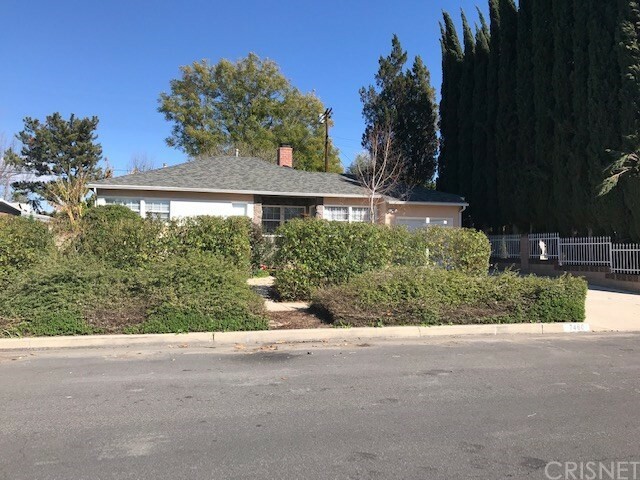 A well maintained and upgraded 3 Bedroom 2 Bathroom 1673sf family home in the Lake Balboa neighborhood. This charming house has custom upgrades throughout: Kitchen w/granite, wood cabinets, stainless steel appliances. Hardwood floors, 2 fireplaces - family room and the master bedroom. Direct access from master to a private spa and deck. Separate laundry room. Large grassy backyard with patio & built-in BBQ with plenty of room for a pool! A detached"
"First time on the market. 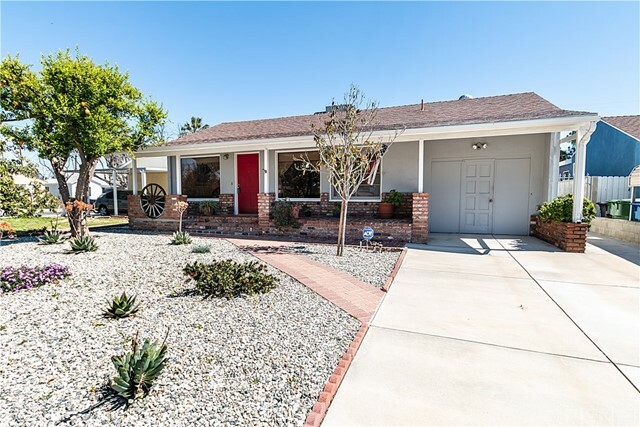 If you want to see a blast from the past you've got to see this house in a wonderful Lake Balboa neighborhood? An excellent opportunity awaits here. So much potential here to make this 4 bedroom 1 3/4 bath home your own. There is original Oak wood floors through most of the house with the exception of the kitchen, bathrooms and family room with laminate. There are mature fruit trees in the backyard (lemon, apple and oranges). Close to shopping and restaurants and minute"
"REDUCED AGAIN. 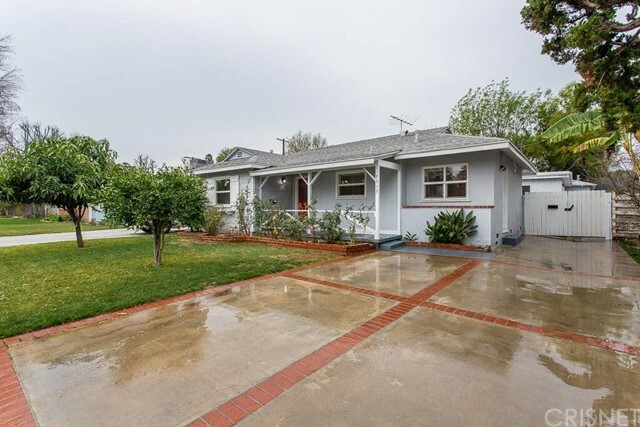 BROKERS...Don't miss this highly desirable home in Lake Balboa neighborhood. Here are some of its many fine features: A flowing 1,512 square foot floor plan with high wood beamed ceilings, and hardwood flooring throughout * The living room is bathed in natural light from a multitude of windows, and is further enhanced by a mantled wood-burning brick fireplace * The family's cook is going to appreciate the bight kitchen's abundant cabinets, tile counters with back-splash, gas stove"
"BRIGHT, SUNNY HOME WITH 2 BEDROOMS 1.5 BATHROOMS, FEATURES BEAUTIFUL HARDWOOD FLOORS IN MOST ROOMS. SPACIOUS DINING/LIVING ROOM, ENORMOUS DEN/DINING AREA WITH BEAMED CEILING, AND MASTER BEDROOM WITH GENEROUS CLOSETS, ACROSS 1875 SQ. FT. OF LIVING SPACE, CHARMING BRICK FRONT PORCH, AND COVERED PATIO IN BACKYARD, OFFERS GREAT SPACE FOR ENTERTAINING OR JUST HANGING OUT. COPPER PLUMING THROUGHOUT, DROUGHT RESISTANT LANDSCAPING WITH DRIP IRRIGATION SYSTEM FRONT & BACK OF THE HOUSE,ORANGE & LEMON TREE"
"Looking for that Prime 1st Time Buyers' Home? Your search ends here! 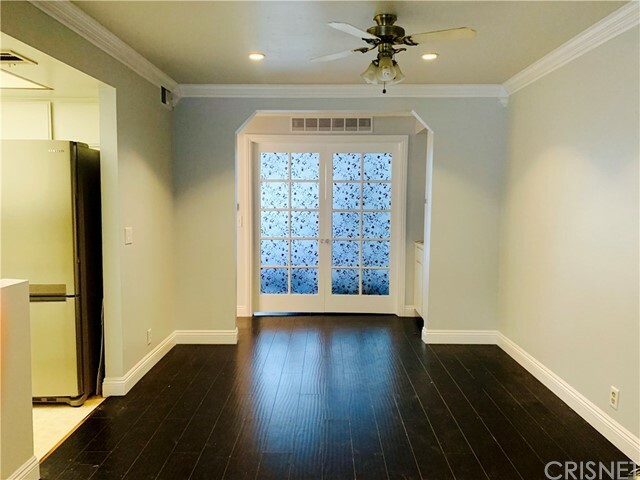 Located in a highly desirable area of Lake Balboa this home has the convenience of walking to shops and restaurants in the Ralph's Center and just a few minutes drive to the Mix Center of Northridge. 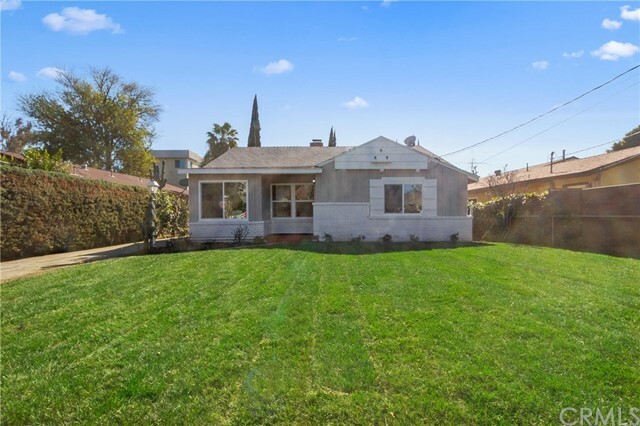 You are greeted at the curb of this beautifully maintained 1950's California Bungalow by a private and professionally landscaped front yard. This sun-filled home, featuring tons of natural light, has the charm of yesterday with the"
"Great property, great location, traditional home on corner lot. Home features include kitchen with window overlooking front yard with beautiful shade tree that will add to keeping the home cooler on those hot summer days. Living room/dining area combo with wood beam ceiling, hardwood floors, built in china cabinet in dining area. Off the living room is a step down enclosed patio with pitched ceiling and a large walk in closet. This room makes an excellent master bedroom or family room. French do"
"Spring is here, summer is around the corner. 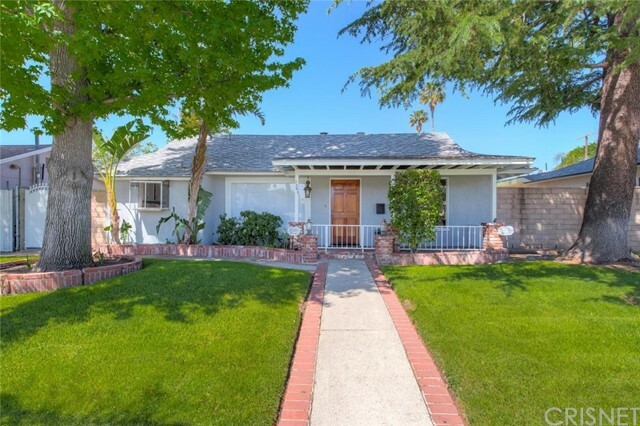 Here's your opportunity to own a very affordable, bright and airy, Lake Balboa home with sparkling swimming pool & spa! With three bedrooms and two full baths, it's a great floorplan with little wasted space! Large living room with brick fireplace views towards backyard. Queen sized master bedroom suite is on the far side of the house away from secondary bedrooms. 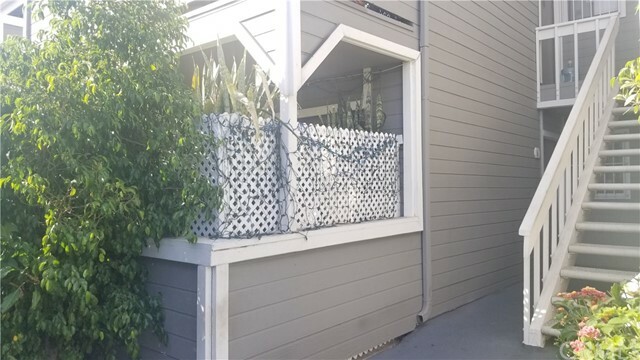 The family chef is going to love the galley kitchen with an abundance of cabinets and co"
"This three story townhome is located in Lake Balboa area with great access to the 101 and 405 freeways. The master bedroom is spacious with soaring vaulted ceilings, walk in closet, balcony, double sinks in the master bath, and walk in shower. The second bedroom also features an ensuite bathroom. The family room has a gas fireplace, laminate hardwood flooring and a powder room. The updated kitchen has upgraded countertops, beechwood cabinets, and stainless steel appliances. The lower level has a"
"This is it! 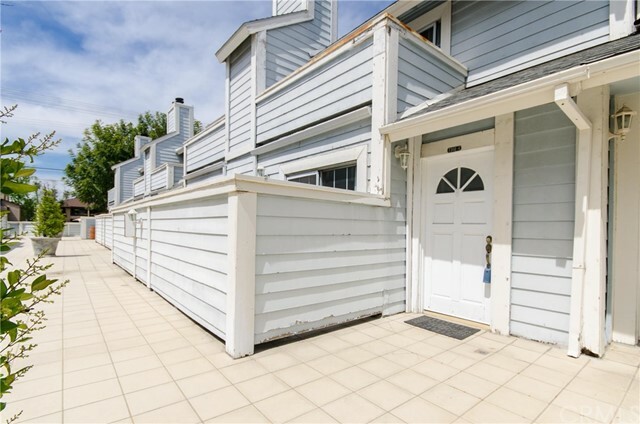 Turnkey 2+2 Lake Balboa condo has it all, highly upgraded everything! Inside the unit; fireplace, washer, dryer, floors, kitchen, cabinets, bath, patio, lighting fixtures too! The building is well maintained, recently fumigated, just 20 units, separate tandem 2 car garage shared with another unit. Grassy area for pets or picnic, well-lit pool, spa, plenty of guest parking, and it's gated." "Back on Market. No problems with the unit; Buyer did not perform. This is the best home in the complex. It is a fantastic 1 bedroom/1 Bath with many new upgrades. In 2018 the updates were: 1) Energy Efficient Windows and 2) Patio door were installed along with a 3) New water heater and 4) New upgraded lighting for the Kitchen and Bathroom. In 2015 the following were replaced with new items: 1) Kitchen: Stove, Refrigerator 2) Garage: Washer and Dryer 3) New Air Conditioner. Then the unit was pain"
"NEWLY PAINTED, POPCORN CEILING OUT NEW CROWN MOLDING IN, GREAT FOR FIRST TIME BUYERS, OPEN FLOOR PLAN BEAUTIFUL CONDO TO CALL YOUR HOME, SPACIOUS MASTER BEDROOM WITH LOTS OF CLOSET SPACE, FIRE PLACE IN THE LIVING ROOM FOR THIS COLD AND RAINY DAYS, POOL AND SPA TO REFRESH DURING SUMMER, NICE SIZE PATIO, TWO CAR TANDEM GARAGE RIGHT UNDER CONDO (AS IF ATTATCHED GARAGE), LAUNDRY ROOM HOOK UPS IN GARAGE, END DOWNSTAIRS UNIT, GUEST PARKING, WELL MAINTAIN COMPLEX, CENTRAL LOCATION CLOSE TO BALBOA PARK "
"Great place to live. 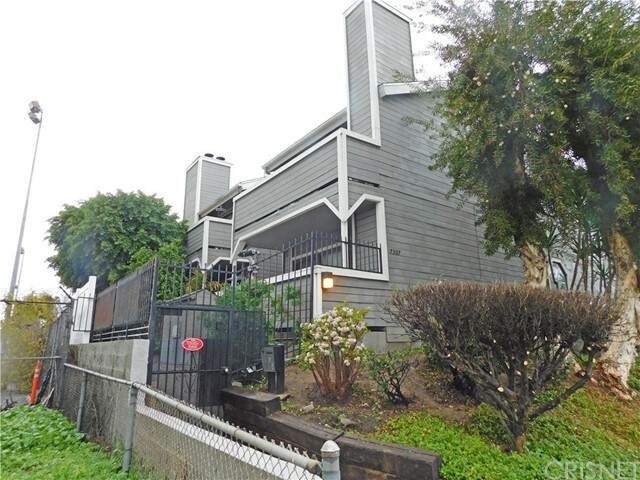 Super clean, turn-key condo in Lake Balboa (Van Nuys area); this is a great unit in a great complex, a one bedroom unit with a 2 car tandem garage, large open floor plan, fire-place, large LR leads through french doors to the large BR. 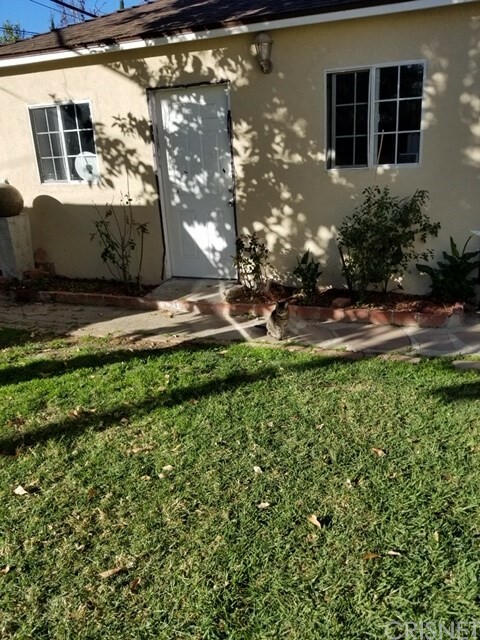 Private patio, complex has a pool/jacuzzi, very quite area close to 405/101, shopping, etc... 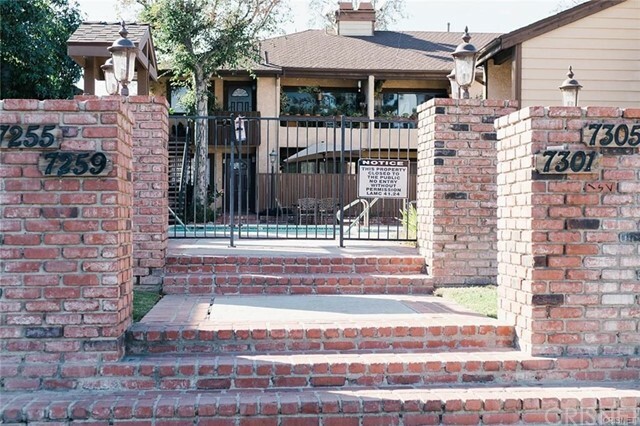 This quaint complex offers plenty of parking for guests and privacy for each unit. SELLER BONUS CREDIT TO BUYER: $1,000."